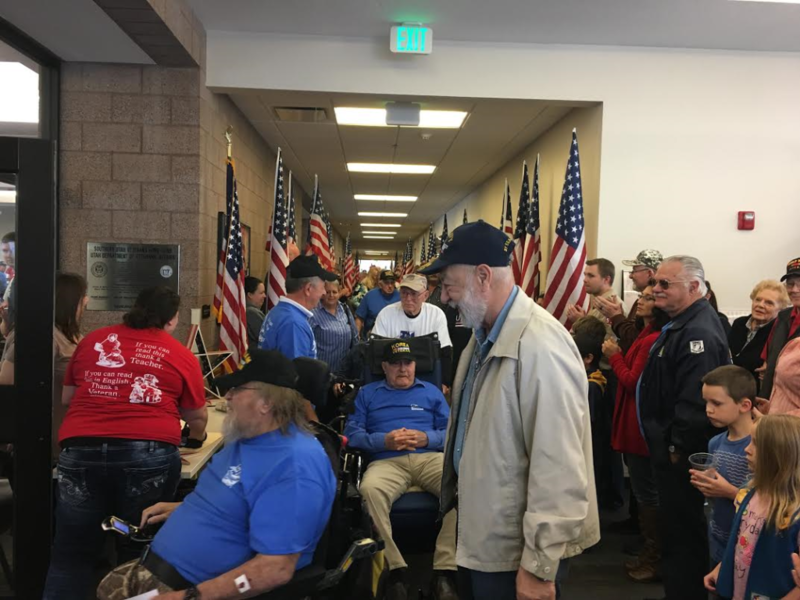 IVINS — The halls of the Southern Utah Veterans Home in Ivins were lined with American flags and crowds as veterans arrived to a flightless Honor Flight ceremony held in their honor Saturday. 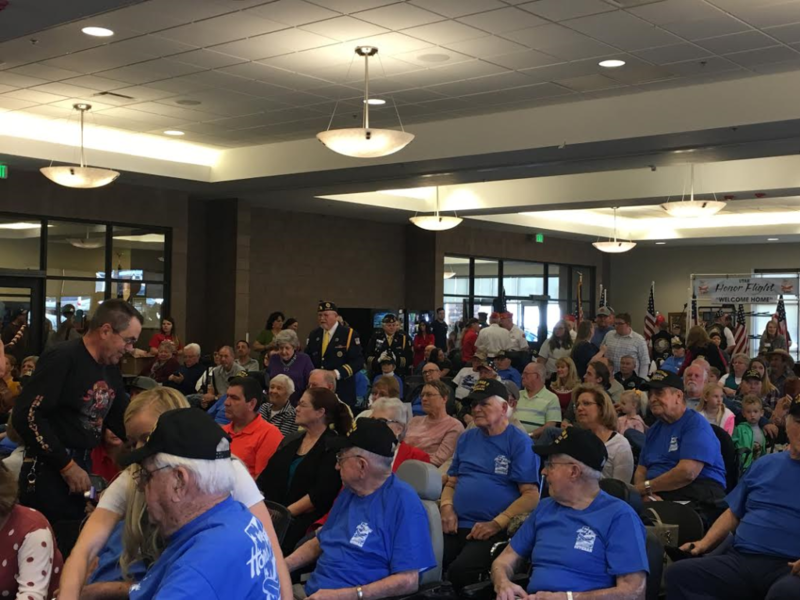 The Utah Honor Flight program is part of a national program that takes veterans to the District of Columbia to see their war memorials. 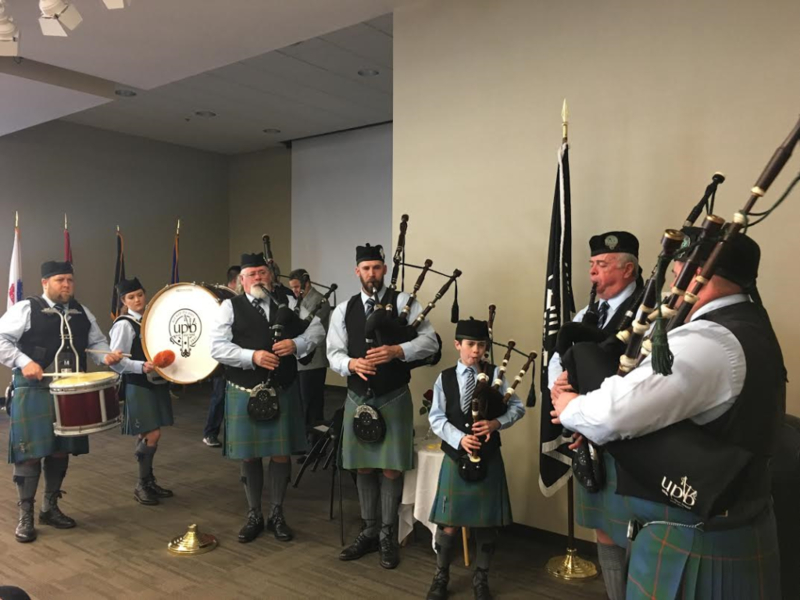 The ceremony was a flightless Honor Flight which honored veterans who were physically unable to withstand the rigors of the flight and the itinerary in the nation’s capital. 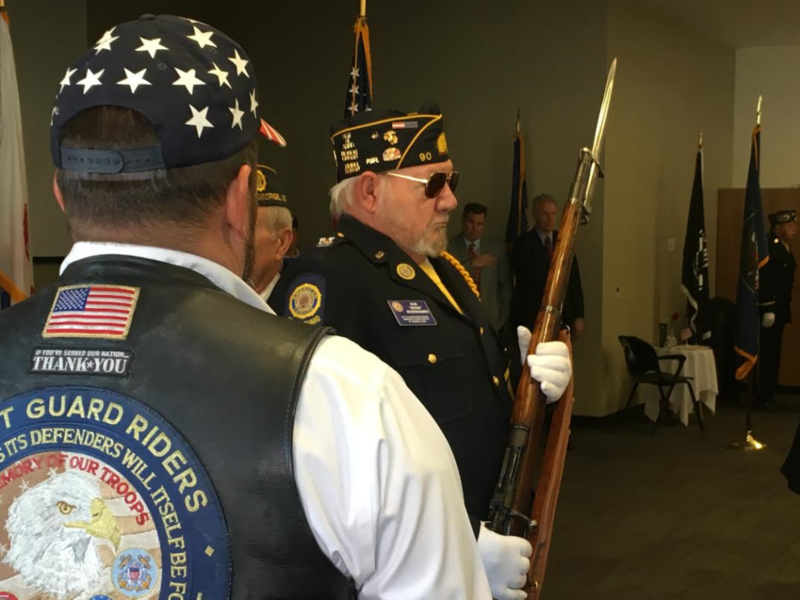 The ceremony honored veterans who served in World War II, the Korean War and the Vietnam War. 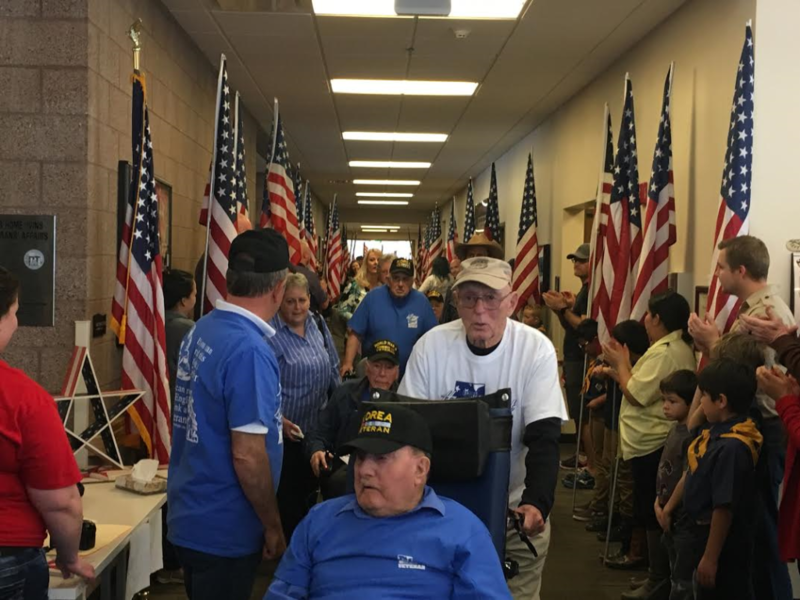 Veteran’s were escorted down the hall of the veteran home where families, friends and supporters gathered with patriotic signs and flags as they clapped and cheered. 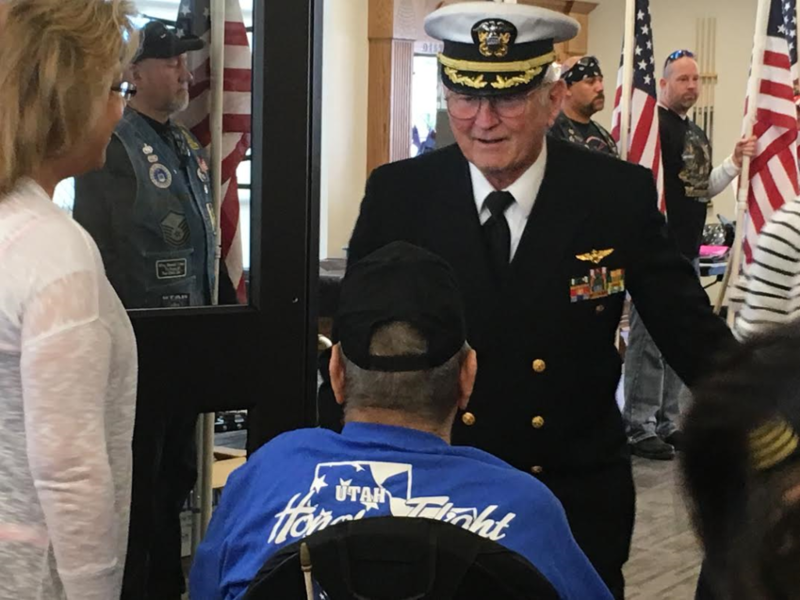 Veterans were greeted at the entrance to the ceremony by Ron Lewis, a retired Navy captain and volunteer for the Honor Flight program. 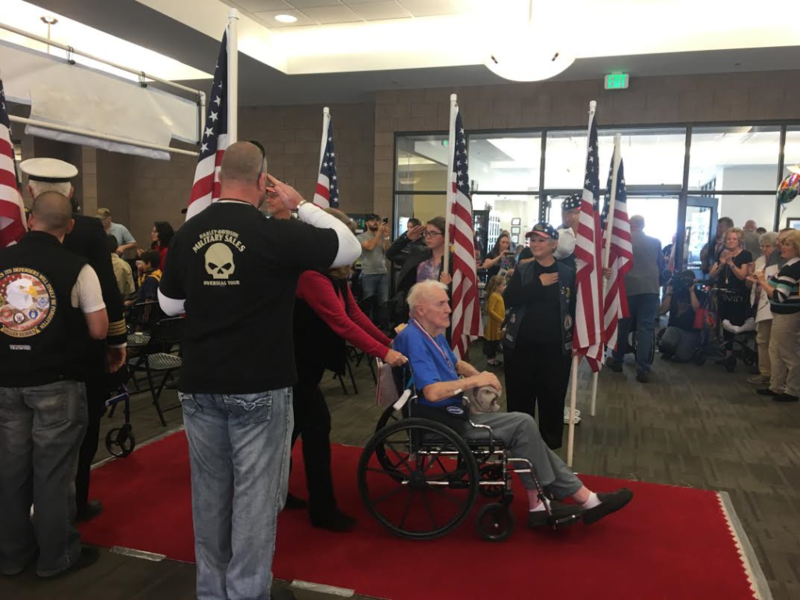 Lewis acted as the “pilot” for the flight and shook hands with and saluted each honored veteran as they made their way into the ceremony. 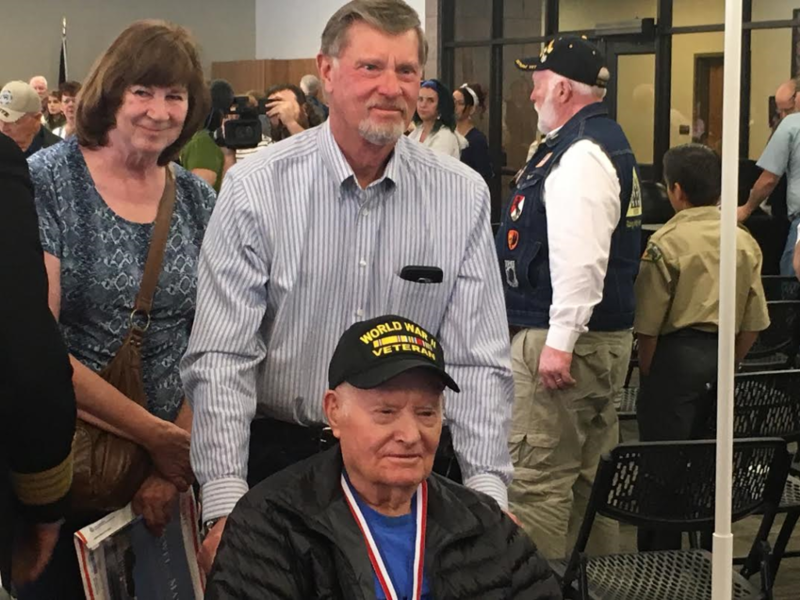 Lewis has been a volunteer with Honor Flight for about five years, he said. While the veterans honored Saturday were not able to have the full experience of seeing their war memorials in the nation’s capital, they were treated to a full honorary ceremony that included music from the Utah Pipe Band — a bagpipe band out of Salt Lake City with an 80 year history — a dance number from the Red Rock Swing Dance Hotties and speeches from St. George Mayor Jon Pike and Ivins Mayor Chris Hart. Good character — one that is filled with character and worthy of emulation. 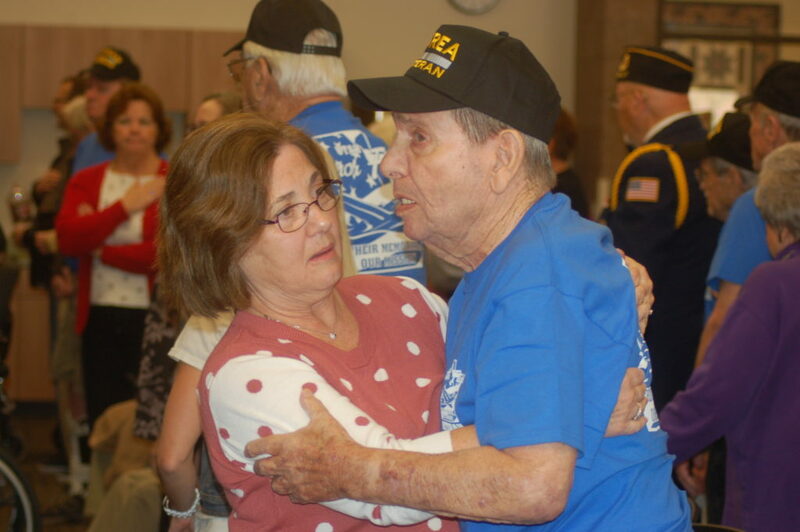 A desire to serve one’s fellow man. A willingness to sacrifice all, if necessary, for a noble cause. 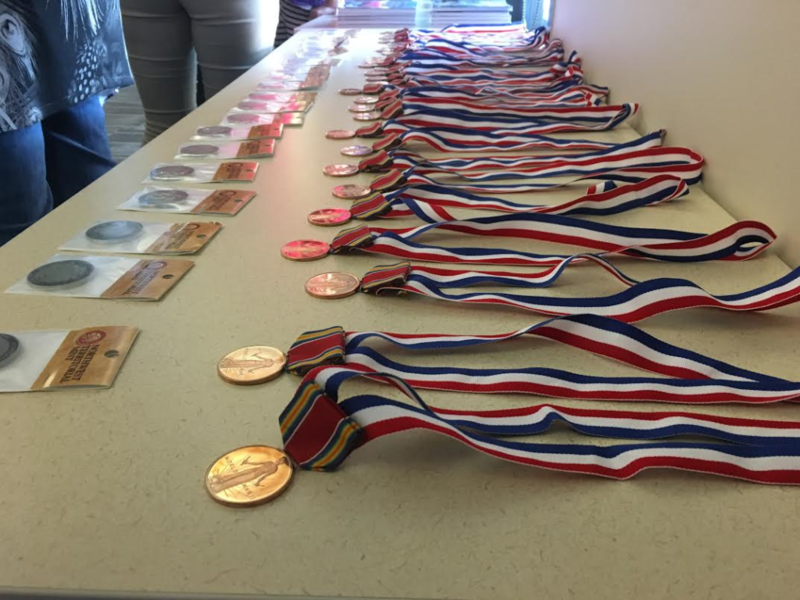 Pike spoke similarly of the veterans honored Saturday, thanking them for their service and patriotism to the country. 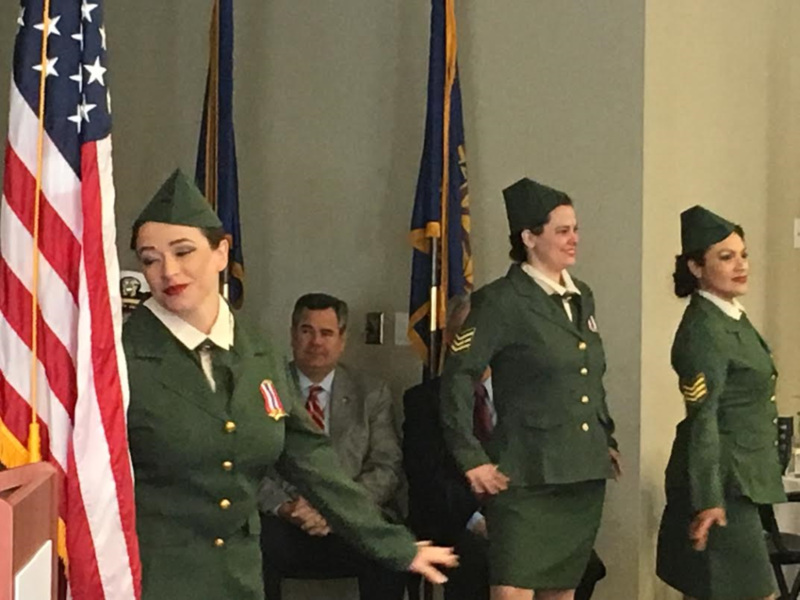 “If we love our country, we should love our countrymen (and women),” Pike said, quoting former president Ronald Reagan. 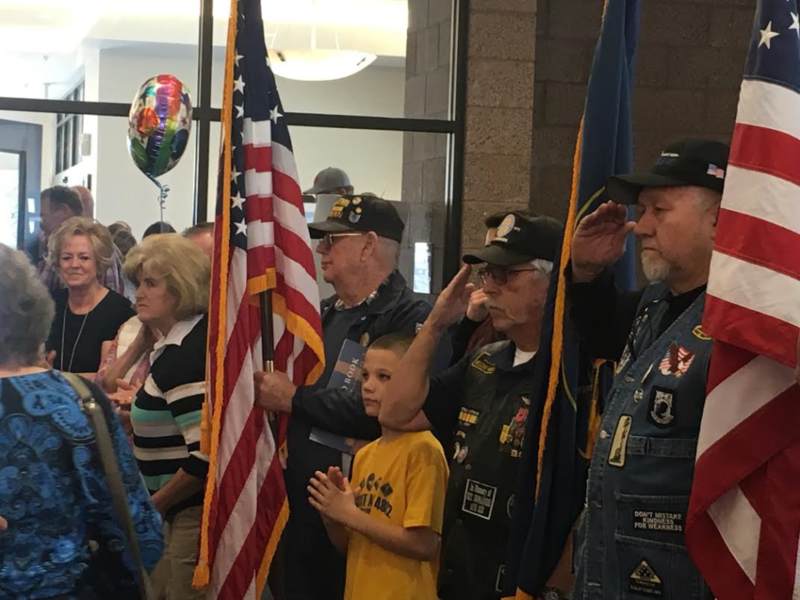 One of the most poignant parts of the flightless Honor Flight ceremony was “Mail Call.” Veterans being honored were surprised with packages of letters written to them by family members, friends and even young students. 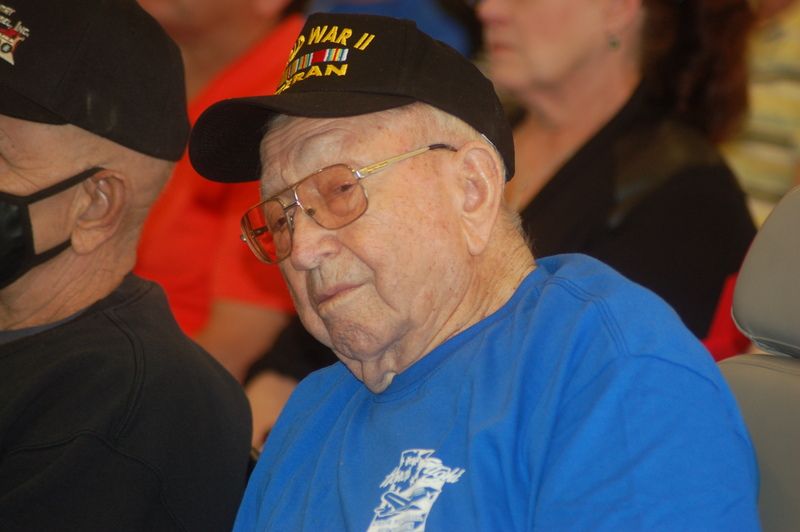 For veterans of WW II, Korea and Vietnam, mail call was an important part of life in the service, Lewis said. 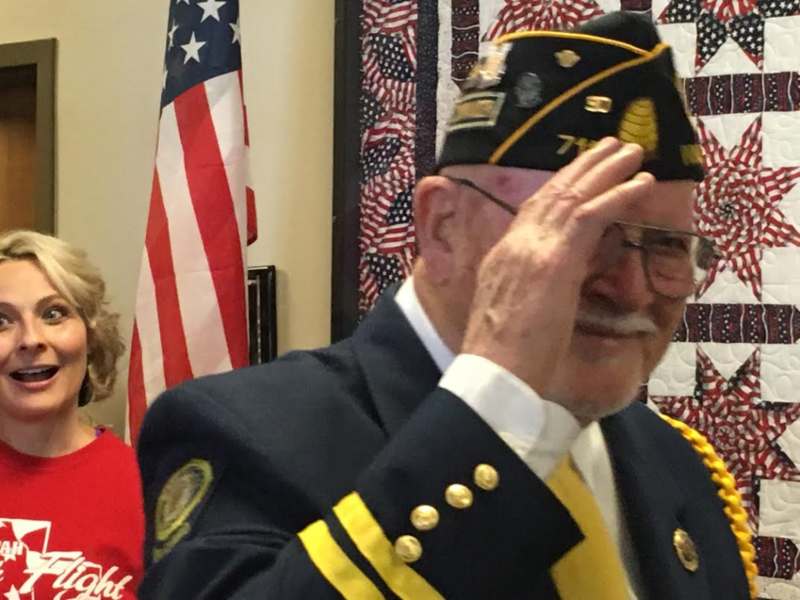 Letters were the only form of communication they had before the advent of cell phones and email and receiving a letter from home with news was a highlight for most servicemen and women. 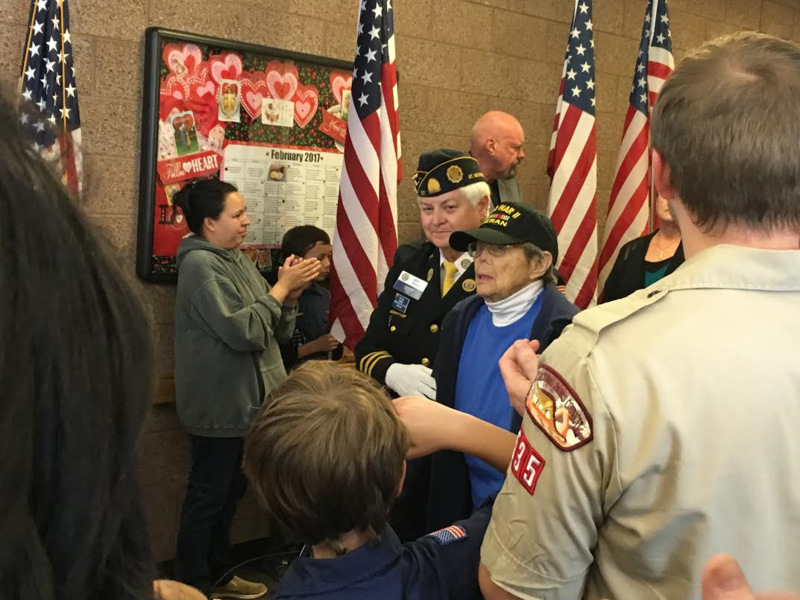 The “Mail Call” portion of the ceremony captured the powerful feelings these veterans must have had as they were deployed in the service of their country and received news of births, marriages, sicknesses and deaths from their loved ones. 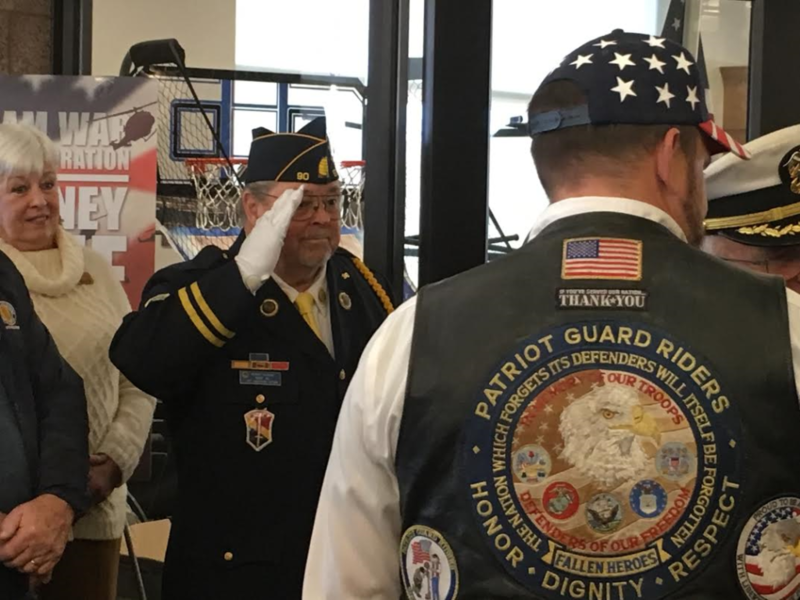 Several veterans service organizations were in attendance, including the Patriot Guard Riders, American Legion Posts 90 and 142 and the Utah Detachment #1270 Marine Corps League. 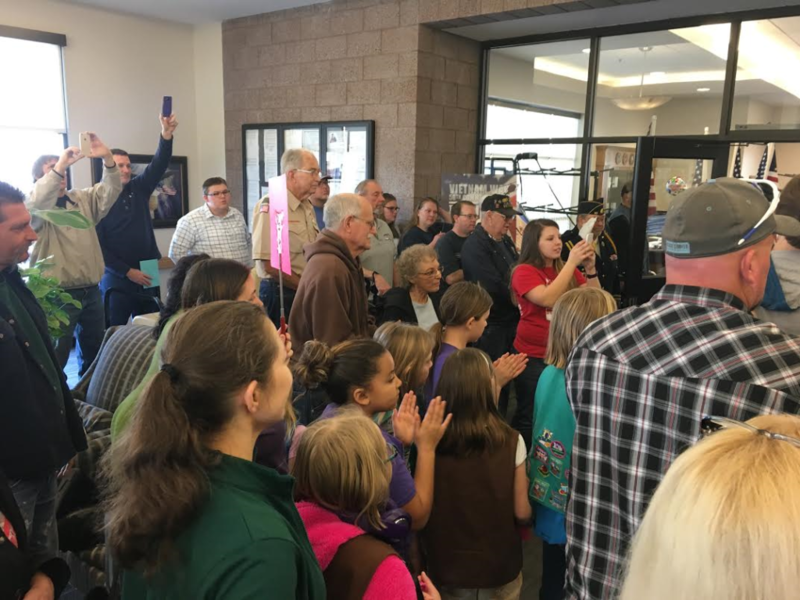 Troops from the Boy Scouts of America and the Girl Scouts of America were also represented. 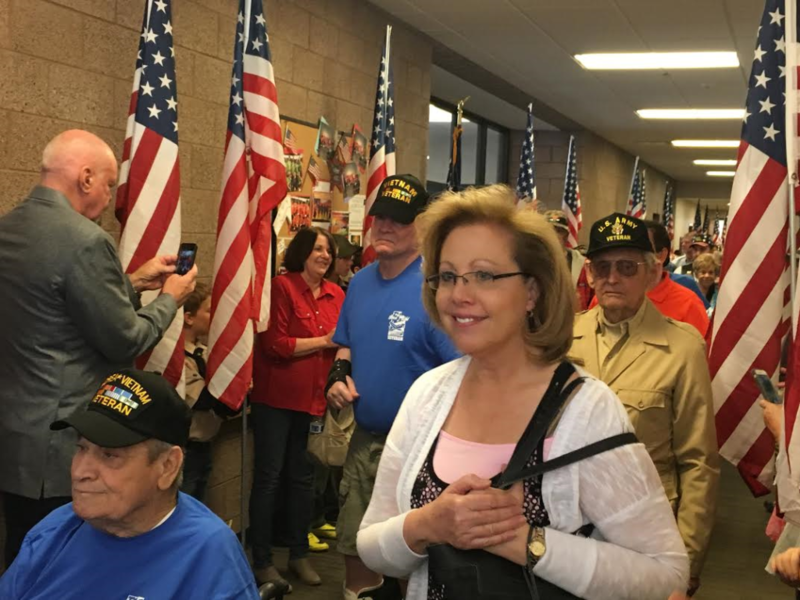 The Honor Flight is currently taking applications for veterans, particularly World War II veterans, to join the program on upcoming flights. 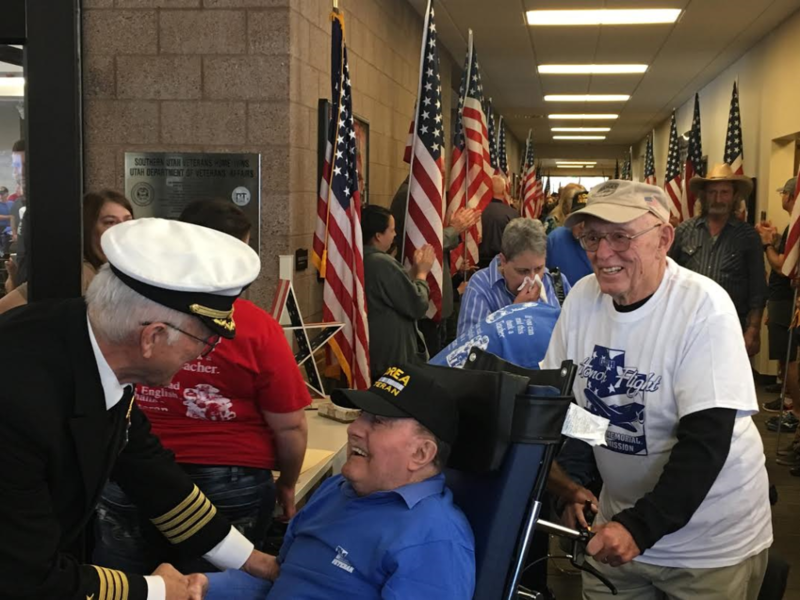 Though WW II veterans will take precedence because of their age, Korean War and Vietnam War veterans are also encouraged to apply for flights. 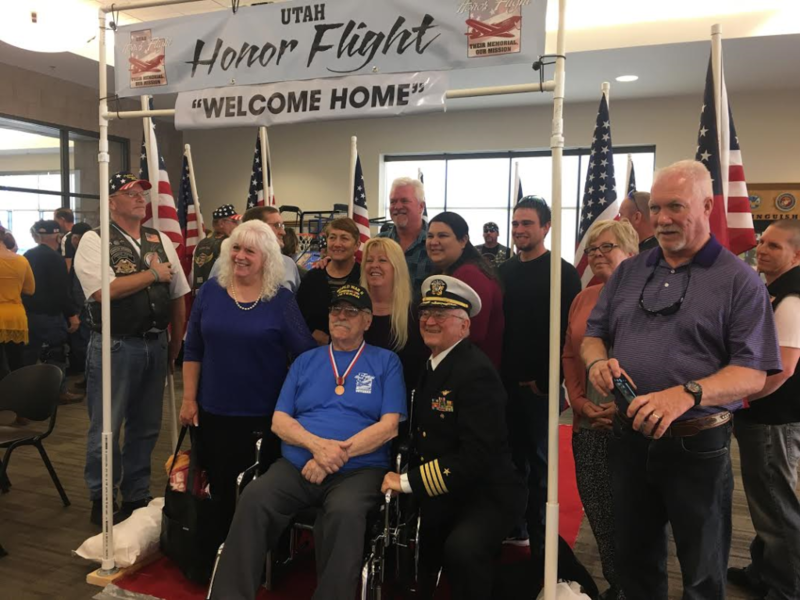 More information about the Utah Honor Flight program can be found online.